Bugsnag, the cross-platform bug tracker, is releasing a major update today. Developers will now be able to triage issues with an improved “snooze” function, and get deeper insight via a visualization tool. 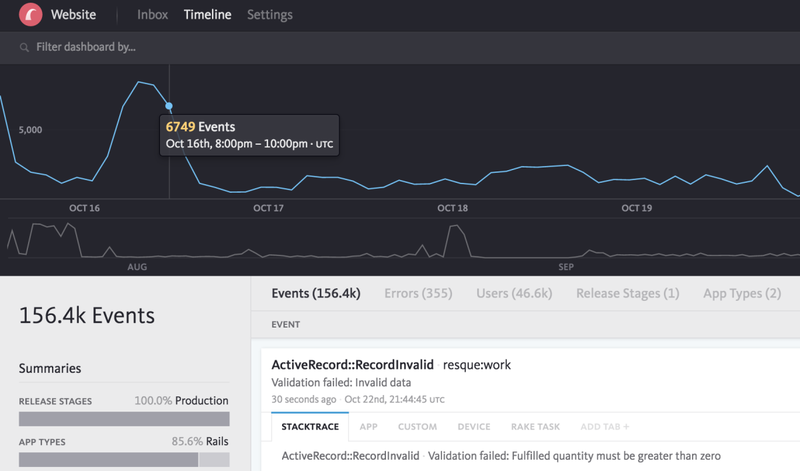 A new timeline page helps developers explore and compare crash data over a period of time, and has detailed filtering features for diagnostics. With it, developers will be able to granularly track issues with each release. A graph lets developers see, over time, which releases or features may be causing problems. A new snooze action for bug tracking lets developers put an issue on the back burner. Should it balloon into a larger problem (read: more crashes or failed features), the issue will resurface again. Finally, a new status menu lets developers see what actions are being taken against errors. There is also a new task management feature so you know who’s working on issues, or which problems may need to be assigned or addressed first. These features will roll out to existing customers starting today. If you’re not already using Bugsnag, there’s a 30-day trial available via its website.